Rotorua, New Zealand, stinks. I loved it there! I only had a few days in New Zealand. Of all the activities that New Zealand is best known for—skydiving, bungee jumping, zorbing (plunging oneself down a hill in a giant plastic bubble), searching for Frodo and his ring, or just basking in the glory of its infamous mountainous landscapes—I opted to visit a small town notorious for its all-encompassing smell of rotten eggs. Rotorua—aka Rotten-rua—is on the North Island, 230 kilometres southeast of the capital, Auckland. A pleasant bus ride past picturesque rolling hills scattered with sheep took me to this town with a population of 56,100. 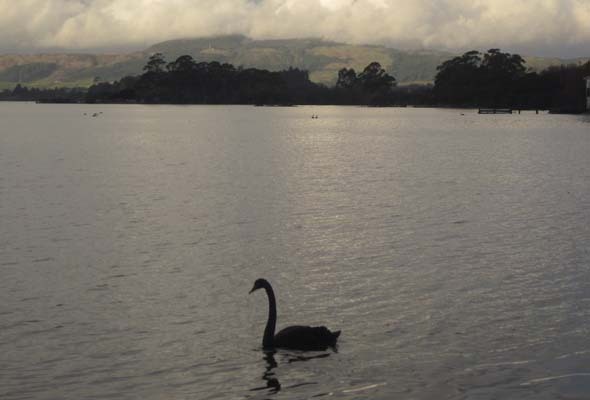 It rests next to a languid lake and on top of a caldera that is the centre of New Zealand’s volcanic activity. 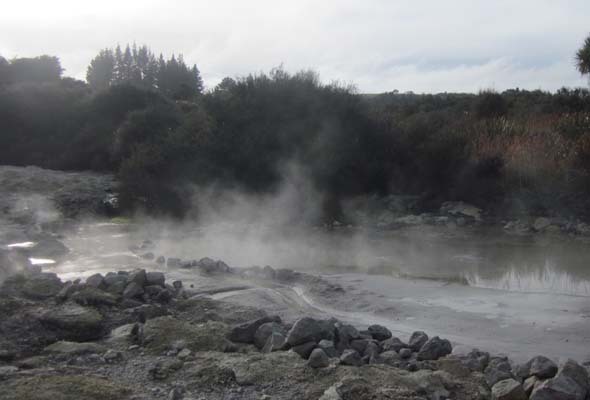 There is an immense amount of geothermal activity; geysers, hot bubbling mud pools and thermal springs that attract thousands of tourists yearly for its medicinal powers. Hydrogen sulfide emissions cause the pungent smell. Some friends I met in Auckland warned me about the smell, and told me to take into consideration the clothes I should bring. The smell permeates everything and stays with you when you leave town. It struck me as I got off the bus, but surprisingly after a short time, I stopped noticing. It was raining heavily so I took cover in a quaint café run by the city library. As I sipped my tea, the friendly waitress gave me directions to my hostel, along with recommendations of activities. The town was clean, friendly and easy to get around. There is also absolutely nothing to do in the evening. I spent the rest of the night sharing travel stories with fellow backpackers at the hostel. I decided to take full advantage of the geothermal activity and booked a day at Hell’s Gate—a geothermal attraction and day spa. A tour guide took me and two Chinese tourists on a hike around the grounds with hot springs, boiling mud pools and steaming fumaroles while explaining the myths, legends and history of the site. Many of the stories include the Maori people, the natives of New Zealand. We marveled at Kakahi Falls—the largest natural hot water fall in the southern hemisphere. 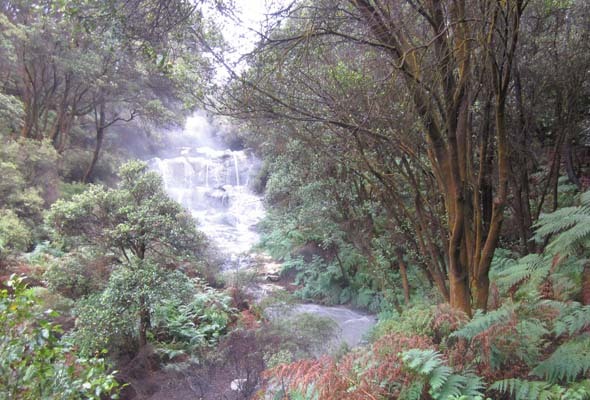 It is a sacred site where Maori warriors once bathed to salve their battle wounds. After the hike, I indulged in a hot mud bath at the spa where I met several other travellers, all of whom seemed to pay different entrance fees. I discovered, conversing with locals that evening at the library café, that there is a plethora of hot springs and mud pools that are free and frequented by locals. Only tourists fall into the trap of paying for a mud bath in Rotorua. The next day I wandered around town and discovered geysers everywhere, even along sidewalks. 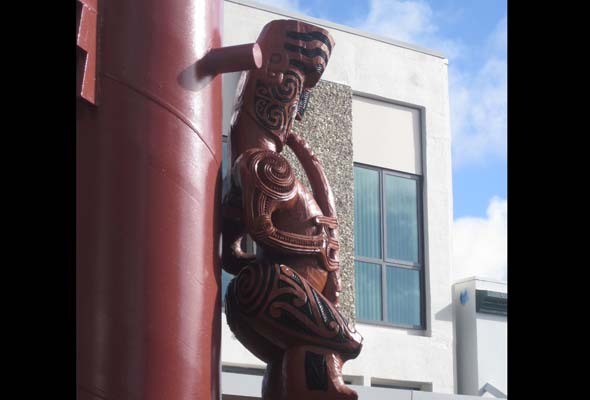 Maori culture is prominent around town and proudly displayed. 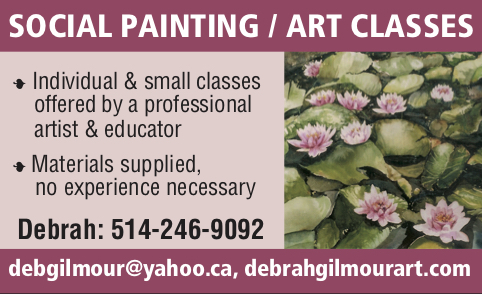 There are also many places to learn about it in art, song and dance. Many stores line the main drag selling Maori symbols, many it seemed of strength and courage, carved in stones on necklaces and key chains. I bought some for my friends. That night I spent swapping movies with my roommates at the hostel, so as to keep us entertained on the plane, as many of us most likely had a very long journey home. Relaxed, rejuvenated and revitalized, it was time to continue on my journey and say goodbye to this pleasant and stinky little town. All my clothes smelled of sulfur. Slightly embarrassed when I returned to Auckland smelling like an egg, I learned a valuable lesson from my time in Rotorua—put ammonia in the laundry machine and it will remove bad smells. Unfortunately, it took me a few days to figure that out. Be the first to comment on "Rotorua, New Zealand, stinks. I loved it there!"